Less than 6% of your followers actually see your posts! 3.57% of people click through on links on email compared to 0.07% on Facebook. 72% people prefer to receive promotional content through email COMPARED TO 17% WHO PREFER SOCIAL MEDIA. So, you can see why it's important to build your email list and keep sending them regular emails. Have set up a list you want people to be added to. A freebie/lead magnet to incentivise someone to join your list. Even better if you have created a sales funnel (series of emails) to automate the way you welcome new subscribers into your Tribe (email list). IF YOU USE MAILCHIMP, THEN THIS IS HOW TO SET UP THE MAILCHIMP APP TO COLLECT EMAIL ADDRESSES WHILST YOU'RE OFFLINE. IT'S PERFECT FOR networking EVENTS, WHEN GIVE TALKS/PRESENTATIONS OR MEETING NEW POTENTIAL CLIENTS WHEN YOU'RE OUT AND ABOUT. Gone are the days where you can (or even need to) put out a sign-up list for people to add their name and email addresses. However, speaking at an event (whatever the size) is the perfect place to get ICAs onto your email list. If you have a iPad then this is what I recommend you do. 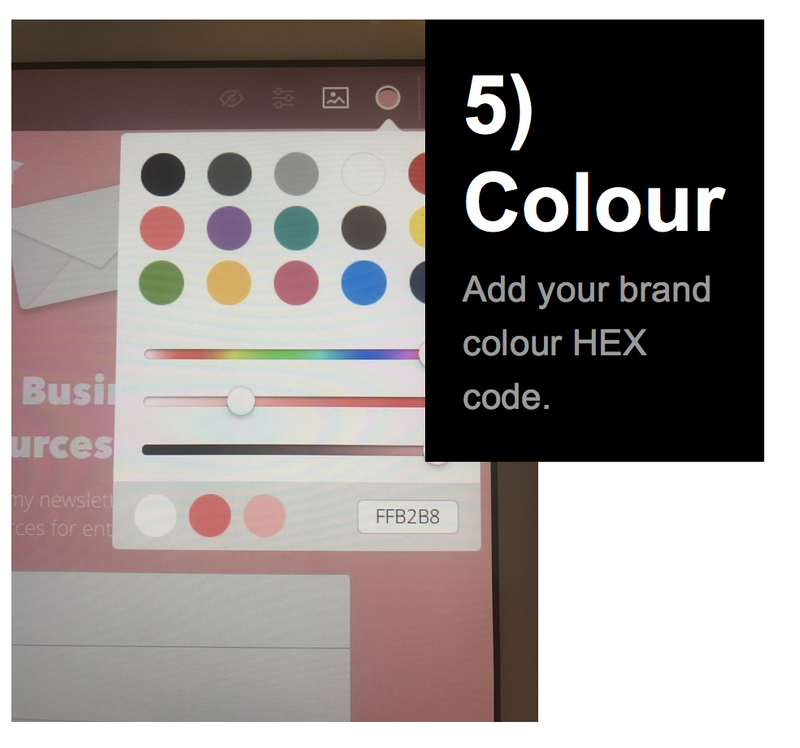 1) Download the MailChimp Subscribe app - this one. 2) Sign in with your username and password. 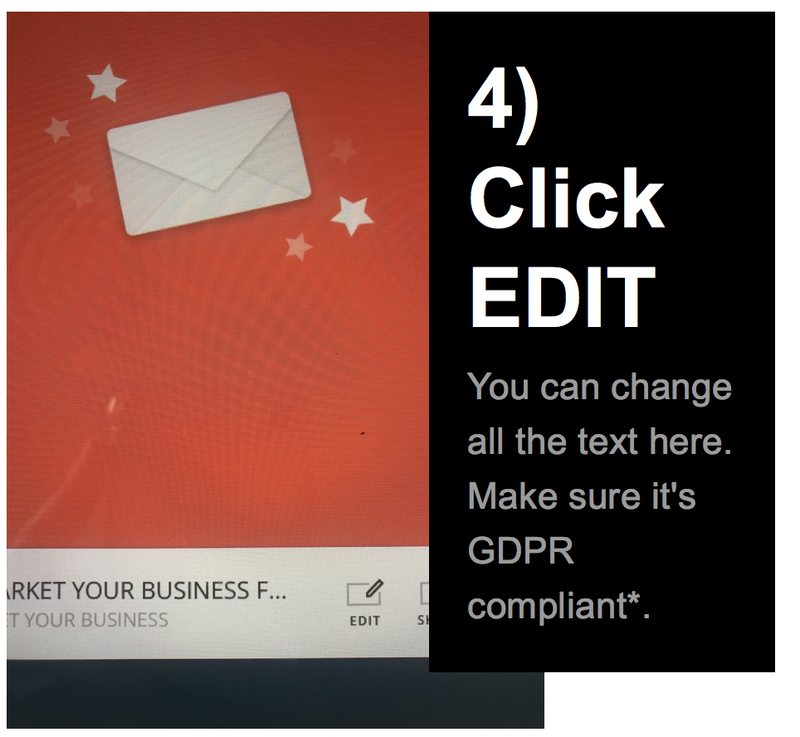 *To be GDPR compliant they need to know you will be emailing them regularly (they don't just get your free resource and nothing else) and that you will be sending the occasional promotional email. 9) If it works then you're good to go! I take an iPad stand so it becomes part of my 'display' on stage. This will also remind you to tell people to sign up. Do this at the end as your last CTA. 10) Keep your iPad somewhere safe!! It sounds obvious but your mind won't be on your tablet - it will be on delivering a good speech. Have it next to you or ask someone to be in charge of it. 11) Make sure you tell people what they get for signing up! Don't just say it's a newsletter - they need to be excited to hand over their email address! DONE. CONGRATULATIONS ON YOUR GROWING EMAIL LIST OF WOMEN WHO ARE EXCITED TO HEAR FROM YOU AND BUY FROM YOU. 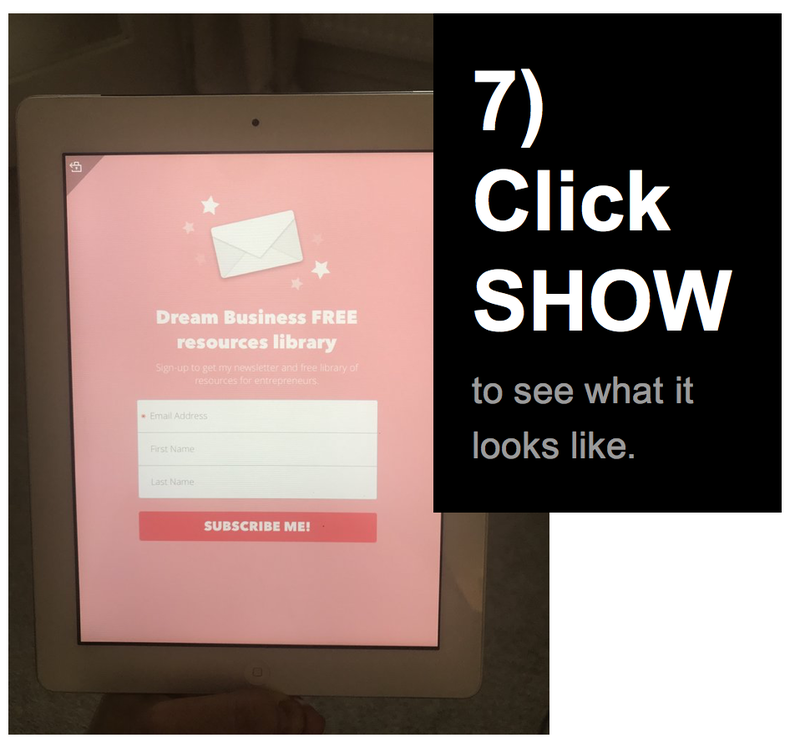 NEED HELP UNDERSTANDING WHO YOUR IDEAL CLIENT IS AND WHAT YOU CAN CREATE AS YOUR LEAD MAGNET TO GET PEOPLE ONTO YOUR EMAIL LIST? THAT'S ONE OF MY SPECIALITIES! LET'S SET UP A TIME TO TALK TO FIND OUT ABOUT MY BESPOKE BUSINESS COACHING & MENTORING PROGRAMS.